Dr. Denette Cooke opened The Cooke Veterinary Medical Center in 2002 and designed the facility to be patient and client friendly. Our goal was to minimize the stress to our great patients and ‘wait on’ our clients to make sure they have a wonderful experience at The Cooke Veterinary Medical Center. We offer you our undivided attention to solve the medical problems that each patient faces in a relaxed, friendly, open, and caring environment. Checking In – Typically, we assign clients a spacious exam room immediately upon their scheduled arrival to help limit the typical waiting room struggle with multiple pet owners and multiple pets. Our goal is to create a relaxed environment for all pets, clients, and staff. Exam Times – ”Get ‘em in and get ‘em out” is not our style. The Cooke Veterinary Medical Center schedules longer exam times to thoroughly examine patients, answer client questions, and discuss treatment options that are best for both the pet and the client. Medical visits are not conducive with “quick fixes”, or treating the symptom without treating or addressing the source of the disease. Our focus is on true preventative medicine that includes a whole pet mind, body, and spirit approach. Observation Windows – The observational windows throughout our facility allows clients the opportunity to witness the care our staff gives when handling their pets and the high medical standards our doctors provide during both treatment and surgery. Surgery Standards – We utilize only the highest standards regarding surgery, including; monitoring blood pressure, monitoring heart rate, monitoring and regulating body temperature, IV catheters, fluids, pain management, and patient comfort, before, during and after surgery. We focus on an individual surgery for that day, as oppose to multiple surgeries. 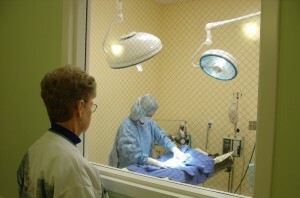 This allows us to closely monitor our patient during and after a surgery. Absolutely no cutting corners here! Western & Eastern Medicine – Often the best approach to treatment is a combination of both Western and Eastern medicine. In some situations, using a combination of drugs, surgery, Chinese herbals, dietary changes, and acupuncture will often produce better results than when only one of these modalities is used. Dr. Cooke is certified in veterinary acupuncture from the Chi Institute of Chinese Medicine, an affiliate of University of Florida College of Veterinary Medicine. Excellent Staff – A large part of our success can be directly attributed to the level of care and time that our staff offers to both pets and pet owners. We are proud to have such a first rate team of compassionate and knowledgeable people. Our Facility – The Cooke Veterinary Medical Center’s hospital was designed with pet and pet owner comfort in mind. Our beautiful facility includes an inviting front reception room complete with hardwood floor, K-cup coffee island, and fireplace. Spacious exam rooms with large windows, window front kitty condo boarding, large dog kennels with front glass doors, and a private hospitalization “visitation suite” for our clients to sit and relax with their sick or injured pet. These are a few things that set us apart from other veterinary centers. Our hospital is also kept immaculately clean. Reducing the amount of animal smell allows pets to be more relaxed in our facility.